Most people are familiar with basic auto insurance policies, such as those that cover their personal vehicles. However, you need to realize that there are many forms of specialized liability insurance designed to protect drivers in very specific situations. Non-owned auto insurance is one such policy. By understanding what this policy is, you can decide whether you need it to protect your assets. Use our FREE comparison tool to find the best auto insurance rates! Enter your zip code above to get started now! Before purchasing a non-owner auto insurance policy, you’ll need to be sure of exactly what you’re looking for. Although the term might be used by laypeople to mean any of the above, non-owner auto policies officially refer only to the last point. The other situations are covered by different types of policies. In the case of rented and borrowed vehicles driven for personal use, your personal auto insurance policy should cover any damages. Damage caused to a vehicle that is owned by the business is covered by that company’s commercial auto policy rather than any other type of commercial liability insurance. The guide below should help to clarify the purpose of non-owner auto insurance, including what it covers and who might need to purchase it. Non-owner policies are a special type of commercial liability insurance offered to business owners. The purpose of this policy is to protect the business from liability suits arising from the use of non-owned vehicles for business purposes. The most common application of this is when an employee must use his or her own vehicle for the business. For example, a pizza delivery driver uses his own vehicle to deliver pizzas to customers. If he gets into an accident during his shift, his personal insurance company may not fully cover the loss. At that point, the employer could be held liable for the accident. Non-owner auto insurance is designed to pay for this type of liability case. This type of insurance is important because personal auto policies do not always cover accidents that occur when a vehicle is being used for business purposes. In any situation where a business mandates that a driver use a vehicle that’s not owned by the company for business purposes, non-owner auto insurance becomes necessary. Although many businesses could benefit from carrying non-owner auto policies, many do not realize that they need to do so. If you are a business owner, it’s a good idea to assess your business needs and determine whether your company carries enough commercial liability insurance. If the business is a delivery or taxi service that requires drivers to use their own vehicles, this type of policy is a necessity. By determining whether their vehicles carry an appropriate level of insurance, you can decide how much liability insurance is necessary. Other businesses that may need non-owner auto insurance include any companies that rely on rented or leased autos for any business purposes. If the vehicle is not owned by the company, the company’s other commercial auto policies will probably not cover it. Therefore, a non-owner auto policy is needed. Bear in mind that situations can occur outside of these scenarios that may make such a policy very useful. For example, imagine that you send an employee to run a simple work-related errand in his own vehicle during work hours. If he’s involved in an accident during that errand, his insurance company may still deny the claim on the grounds that it was work-related. Because of this, it’s usually better to be safe than sorry and purchase more liability insurance than you expect to use. Fortunately, this type of specialized commercial auto insurance tends to be fairly inexpensive, and you can generally get a good deal on it by comparison shopping between multiple companies. Obtaining quotes from a number of insurers enables you to pick the best possible price and prevent your company from paying more than it needs to for liability coverage. The best way to compare auto insurance companies is to submit a quote request online. This will put you in contact with multiple insurers and give you an instant idea of how much the policy might cost. From there, you can follow up with the insurers with the best price to obtain the coverage that you need. 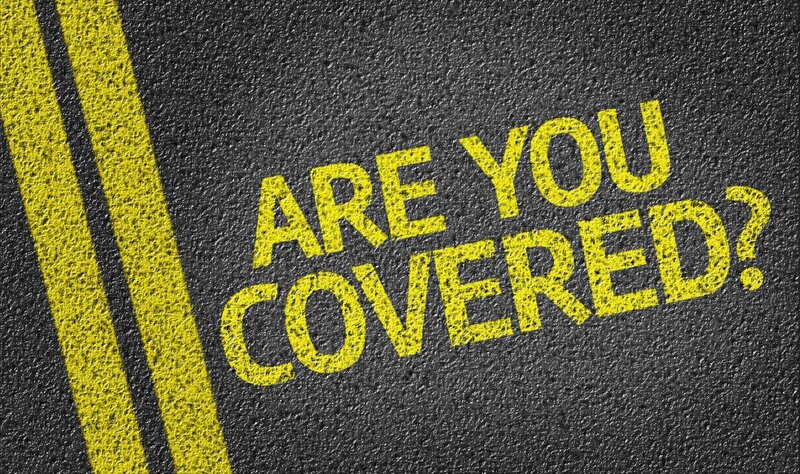 Even if you already have some commercial liability coverage from your current insurer, it’s possible and sometimes preferable to carry different liability policies with different insurers. Be sure to use the FREE tool located at the bottom of the page to compare auto insurance easily! Enter your zip code below to get started!